We’ve seen people try smuggling drugs in their underwear. We’ve seen them try to move drugs in cereal boxes. Recently, we’ve seen a gang use fake ambulances to transport serious weight. Now, we have a duo of undocumented Mexican immigrants moving cocaine using elevator parts. 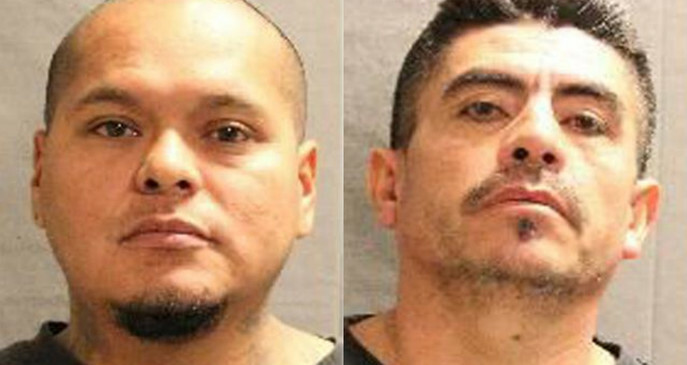 The feds have disbanded a cocaine operation run by Gilberto Hernandez-Ordunez, 34, and Alfredo Romo, 47, that flooded the streets of Milwaukee with blow. Hernandez-Orundez and Romo orchestrated a scheme that brought dozens of kilos of cocaine into Milwaukee at a time. For each trip, 20 to 60 kilos were sealed inside of elevator parts in California. The elevator parts were then transported to a warehouse on the northwest side Milwaukee on semitrailer trucks. Blow torches were used to remove the bricks from the elevator parts, then the work was taken to various businesses on Milwaukee’s south side, where they were stashed and sold. One of the stash spots was an auto body shop Romo ran under the name “David Mondragon.” The cash made was taken back to the warehouse, sealed back in the elevator parts, loaded onto the trucks and shipped back to Cali. As in all drug cases, the feds were working with a network of needed informants to really boost the investigation. Hernandez-Orundez and Romo were arrested 30 pounds (around 14 kilos) of coke in the trunk of a car they were riding in. Hernandez-Orundez was released after a judge deemed that he was not a threat to the community or a flight-risk. Romo remains behind bars. Snitches also gave up information on a man identified as a 32-year-old south side gym operator who received large shipments from the duo. He is being targeted as “the main dealer.” It was also reported that this man had been robbed of multiple keys. Read here about the Colombian drug runners busted while trying to ship tons of cocaine in printer toner. 60 YEARS FOR DRIVING WITH A SUSPENDED LICENSE?? ?